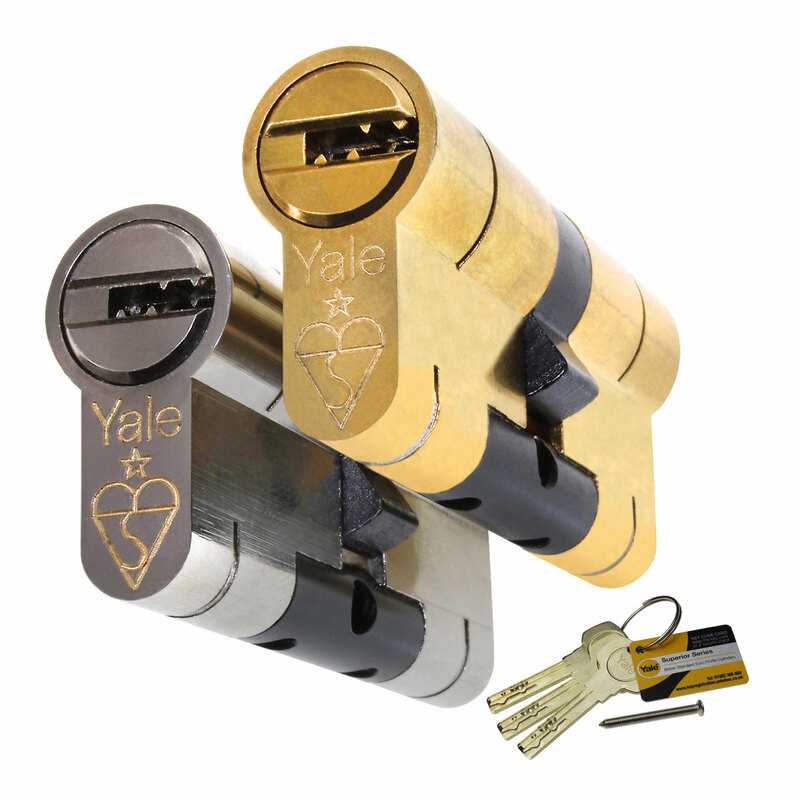 Product information "Yale Superior Euro Cylinder"
Lock snapping used in 1-in-4 burglaries - protect against it! 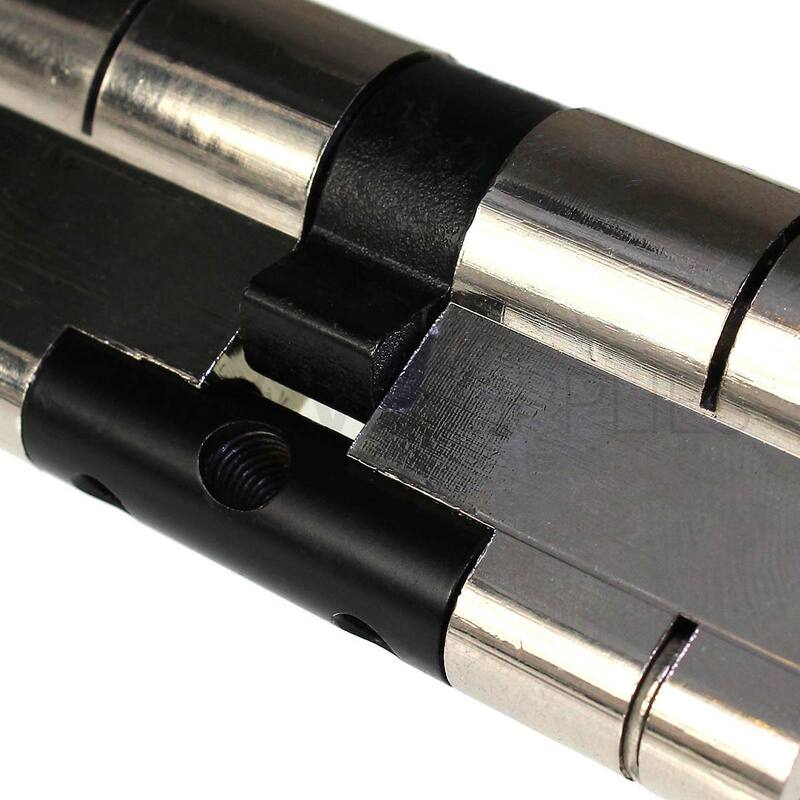 High security euro cylinder with Snap Defence, Anti-Bump, Anti-Pick, Anti-Drill and Anti-Extraction features. Protects against all known methods of attack. Guaranteed TS007 1 Star security from a name you can trust. 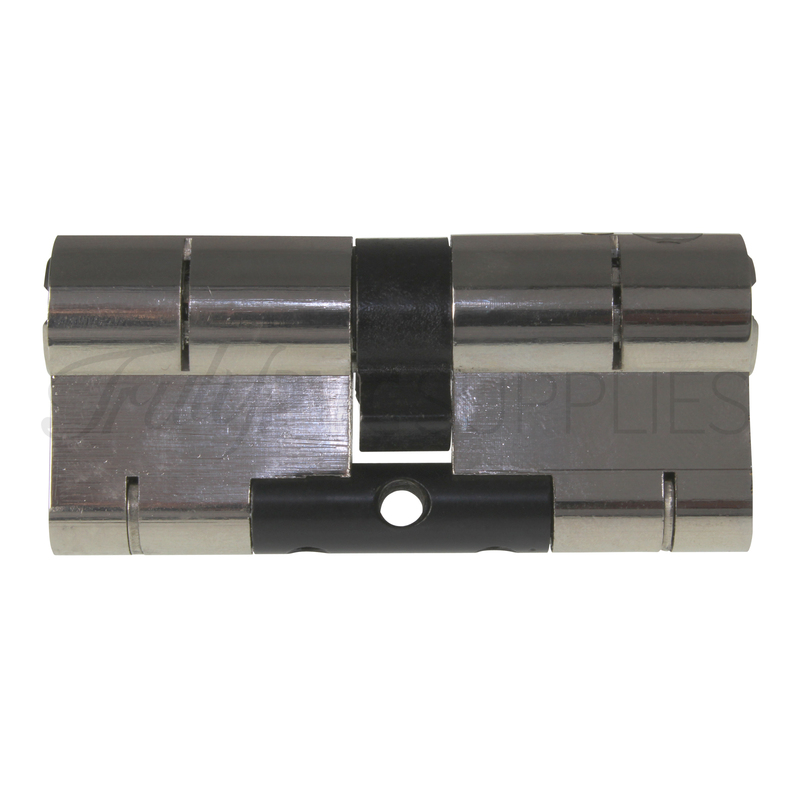 Manufactured to British Standard (EN 1303: 2005), this is a cylinder that you can trust. 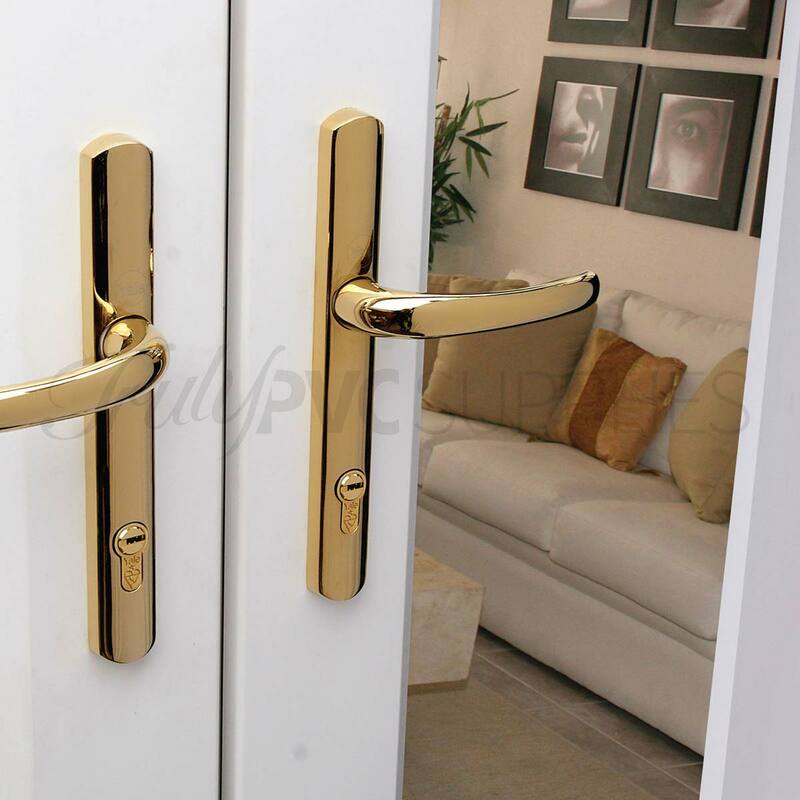 Whatsmore, it is manufactured by Yale, the worlds most trusted brand and comes with a 10 year mechanical guarantee. 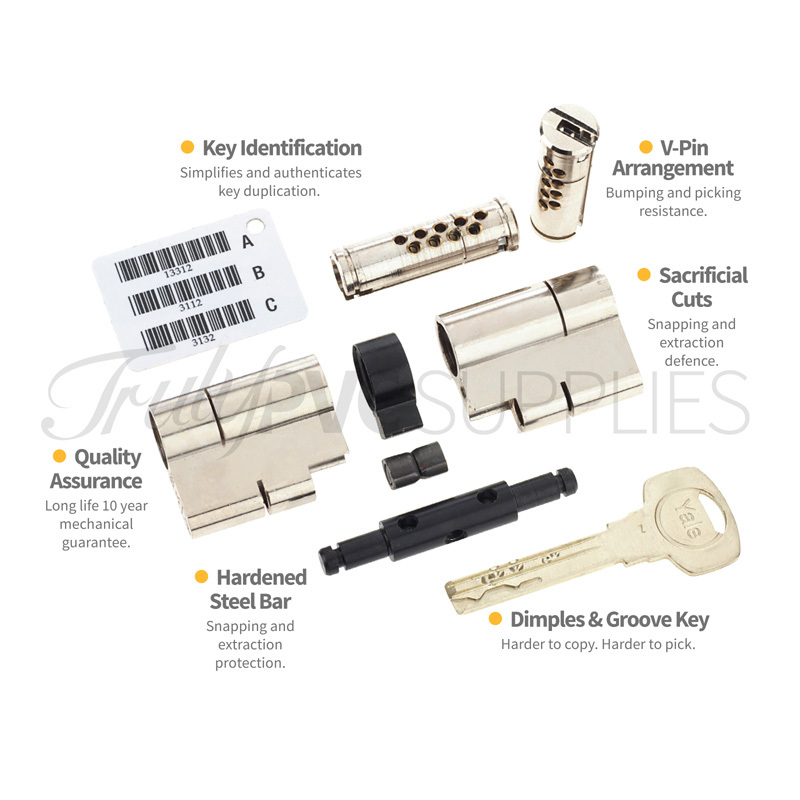 Ideal high security upgrade for home or workplace. 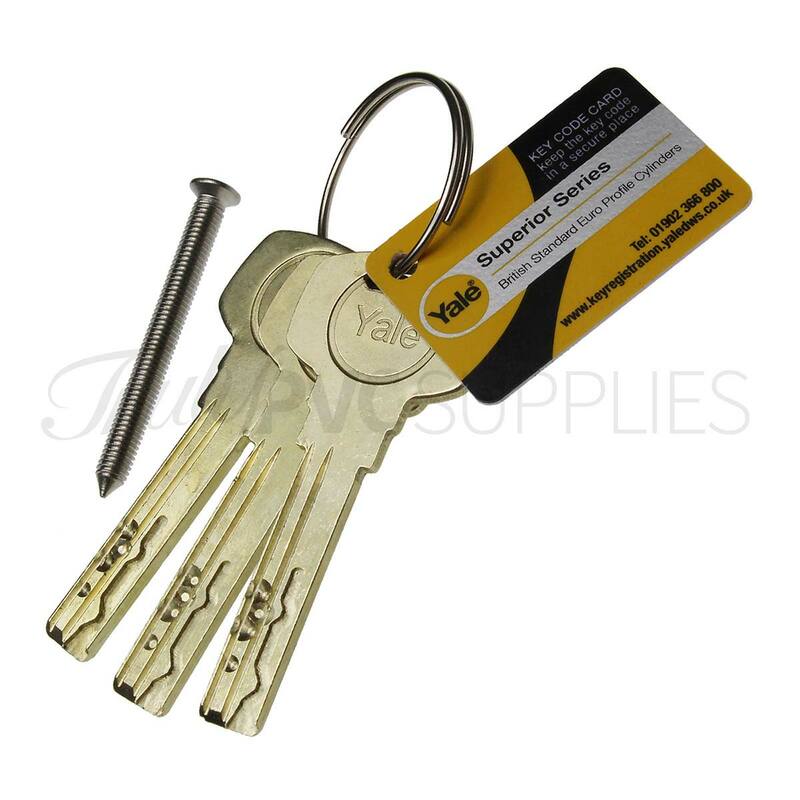 EXTRA KEYS - 3 keys are provided with single cylinders and 6 keys with keyed-alike pairs as standard. 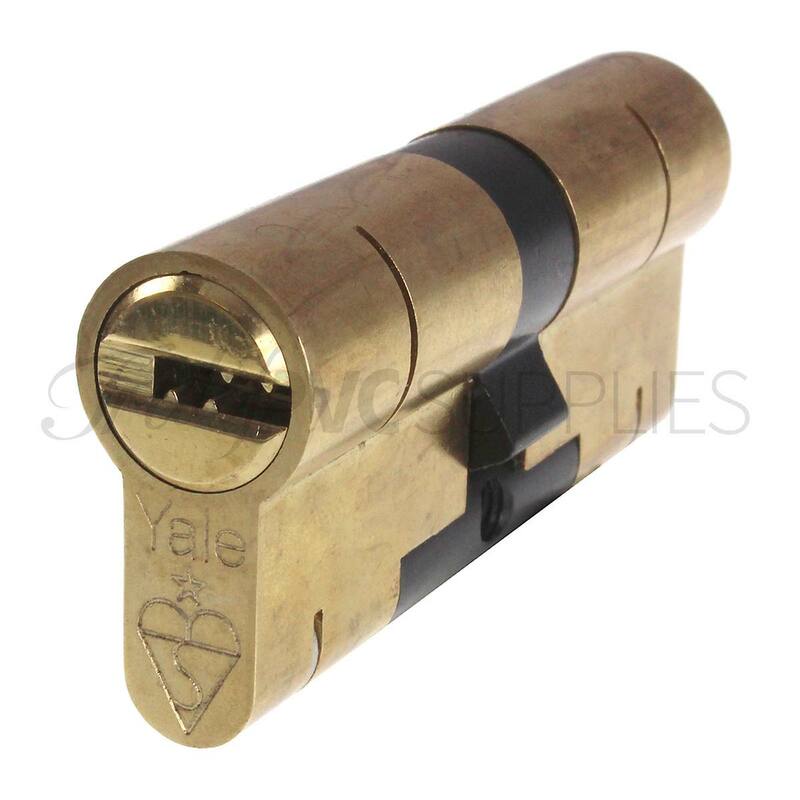 Additional keys, which are cut using genuine Yale blanks, can be ordered with the cylinder. 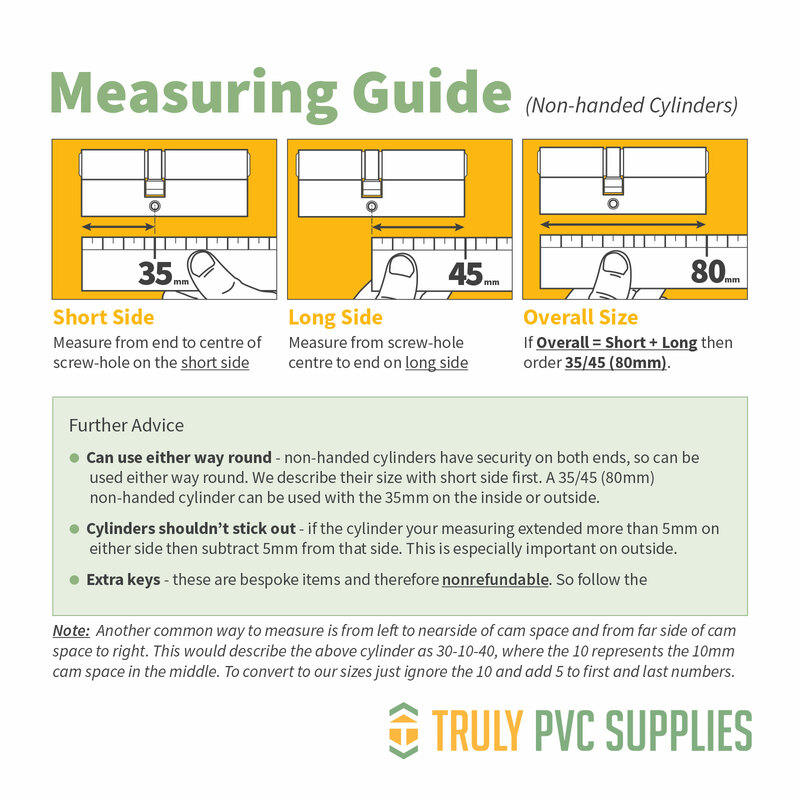 It's vital that you order the correct size cylinder for your door. To determine which size cylinder you require you must first remove the cylinder. Remove the screw which is beneath the latch. Turn the key while apply slight pressure to the opposite end of the cylinder. As you do so the cam will line up with the rest of the lock and you will be able to slide the cylinder out towards yourself. The key usually needs to be turned approximately 25 degree clockwise or anti-clockwise. You can now measure the original cylinder. On the side of the cylinder, under the cam, you will see a Fixing Hole. The size you require is determined by the distance from each edge of the cylinder to the centre of the fixing hole. If measurement a = 35mm and measurement b = 45mm then the size required is referred to as 35/45 (80mm overall). Some double cylinders (key operated at both ends), like the Yale Anti-Bump and UAP+ Zero Lift Anti-Snap cylinders feature security on both ends. So, ordering a 35/45 cylinder is the same as ordering a 45/35 cylinder. 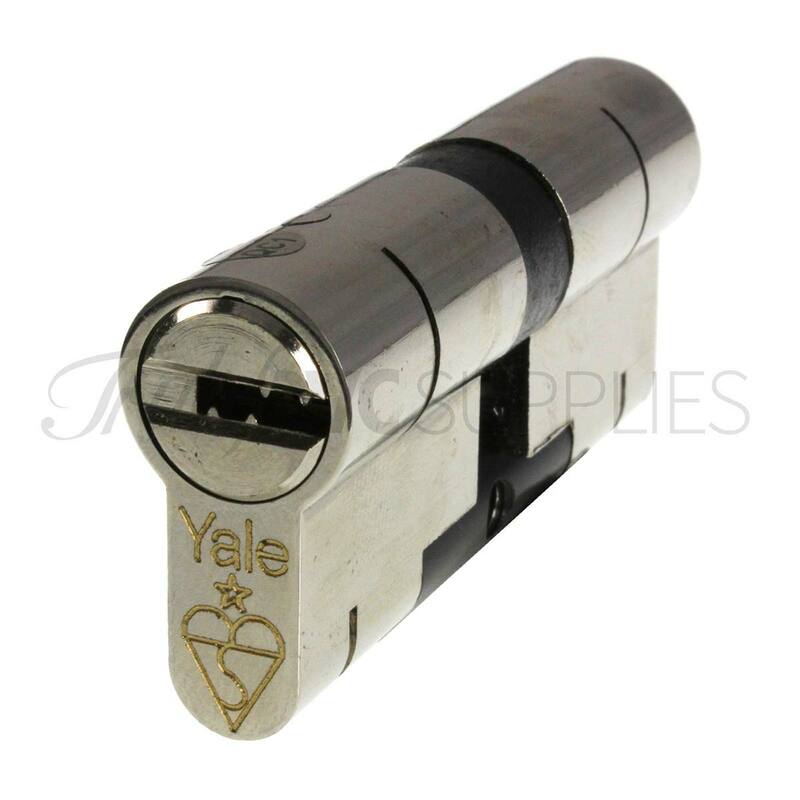 Related links to "Yale Superior Euro Cylinder"
Customer review for "Yale Superior Euro Cylinder"